The University of Derby’s Vice-Chancellor, Professor Kathryn Mitchell, is today (10 July) attending a historic celebration for the Royal Air Force as the service’s 100th anniversary events come to a head in central London. To mark the centenary, tens of thousands of spectators are expected to fill London’s Royal Parks and the Mall as 100 RAF aircraft from the past century come together in a flypast over Buckingham Palace. As a forces-friendly organisation, the University is a patron of the RAF 100 Appeal’s commemorative album, 100 Years of the RAF, and Professor Mitchell has been invited to attend a special book presentation hosted by publisher St James’s House in association with the RAF100 Appeal. In November 2017, the University signed The Armed Forces Covenant – a promise from the nation that those who serve or have served in the Armed Forces, and their families, are treated fairly. Organisations sign the Covenant to confirm publicly that they recognise the value that members of the Armed Forces community contribute to society. The Covenant encourages them to develop a relationship with those who work in their business or access their products or services. More recently, the University used a grant of around £19,000 awarded by the Local Grant Covenant Grant Fund to run events for veterans wanting a new career in the health and social care sector. Workshops were delivered at two Armed Forces family days held by the University this summer, along with stalls advising on support and opportunities for service personnel and their families. 100 Years of the RAF is a hardback book featuring a wide selection of imagery from the RAF Museum’s extensive archives. 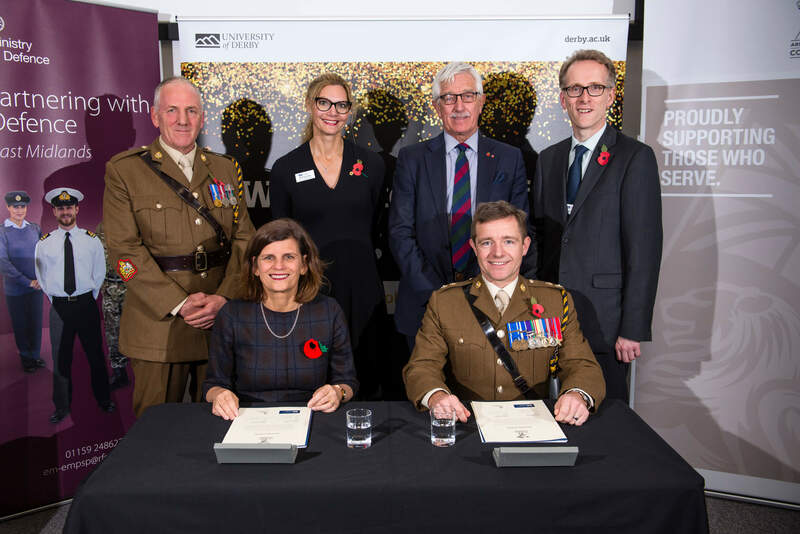 Find out more about the University of Derby signing of the Armed Forces Covenant here.